A veteran of the Community Development Financial Institution (CDFI) sector, Scott Sporte has helped shape Capital Impact Partners’ lending priorities and has envisioned innovative pathways for supporting our communities. Scott recently transitioned from his role as Chief Lending Officer to a new role within Capital Impact, Chief Strategy & Innovation Officer. In this interview, Scott discusses new focuses for CDFIs, outlines his vision for his role, and describes how championing equity and inclusion can transform the communities that Capital Impact serves. 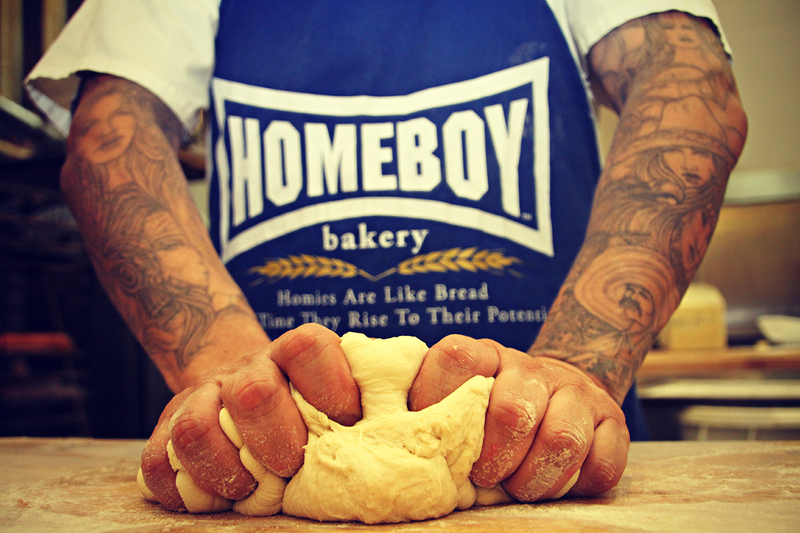 ​We believe everyone deserves a voice and economic pathways that allow them to shape their own futures. We believe that a community’s voice and economic opportunities can be strengthened with the right tools. Our objective is to develop tools for and with our communities that amplified their voices and created hope, shared prosperity, justice and inclusion. The words of Teresa Hodge give a brief and disheartening glimpse into the truth of America’s criminal justice system. What is worse is that, as Teresa alluded to, the dehumanizing experience of incarceration continues beyond the walls of the facility; it has lasting and far reaching impacts on those who have been caught up in the system. ​Across the country, unemployment numbers are down and the news talks of economic recovery and the booming stock market. Outside of that news, however, are many people who are still struggling to achieve equal opportunity and prosperity with the rest of the country. Transformative investments are needed to get struggling Americans into the mainstream economy and working toward a brighter future. This means access to health centers, charter schools, affordable housing, grocery stores that sell fresh and healthy food, transportation, and other infrastructure improvements. However, access to financing can be a major barrier to these projects getting off the ground. Financial services, investment capital, and affordable credit from traditional financial institutions has historically been limited for those looking to serve low-income communities. Community Development Financial Institutions (CDFIs) have played a major role in empowering communities to address the structural barriers that exclude them from shared prosperity. Martha’s Table provides healthy food to Washington, D.C. communities daily. CDFIs as we know them today began more than three decades ago as private financial institutions focused on increasing economic prosperity for low-income and underserved communities by providing affordable lending for community projects. Today, more than 1,000 CDFIs operate across the United States. Over time, their work has evolved to address key issues of economic, social, racial, and political justice. These mission-driven institutions provide support in disinvested areas that traditional lending institutions deem too risky to finance; in fact, they are mandated to embrace risk in order to create social impact. CDFIs fall into four sectors: community development banks, community development credit unions, community development loan funds, and community development venture capital funds. Each has a slightly different way of operating, but the end product is the same: communities of opportunity that break down barriers to success. CDFIs work as market creators and market catalysts by supporting community businesses—including small and family businesses, micro-enterprises, cooperatives, non-profit social service organizations, mixed-use real estate, and affordable housing. CDFIs’ ability to foster catalytic change comes from loans and grants from government institutions like the CDFI Fund, loans and grants from large financial institutions, and program-related investments from major donors and foundations. 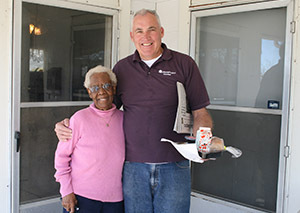 Meals on Wheels support older adults to age within their communities. Financing from CDFIs targets specific populations – often low-income individuals in both urban and rural settings, and heavily concentrated with women and people of color. These high-impact interventions build community infrastructure and resilience. CDFIs work for and with the communities they serve, developing strategic financing packages – ranging from pre-development to real estate acquisition, from construction to refinancing – for vital projects needed to help communities succeed. Generally smaller than mainstream financial lenders, CDFIs come in different sizes and provide loans ranging from $50,000 to $5 million. CDFIs have also jointly raised capital to deploy larger loans in the multi-millions. In addition to core lending services, some CDFIs also provide capacity building, help build and scale social innovation programs and support policy advocacy as a means of further supporting local organizations. Combined with our lending services, these efforts promote increased job growth and retention, improving communities’ economic outlook and viability. Importantly, CDFIs are not in business to maximize profits. Instead, CDFIs maximize support for community needs and empowerment. The impact of CDFIs shows in their support and empowerment of underserved communities to address the barriers that hold them back from shared prosperity. 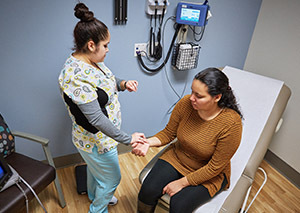 Axis Community Health provides high-quality health care services for its clients. In 2016, CDFIs supported by the CDFI Fund financed nearly 12,000 businesses, created 37,600 jobs, and created 34,000 affordable housing units. Nearly 450,000 individuals received financial literacy capacity building through CDFIs. As part of the CDFI Fund’s Bond Guarantee Program, $119 million was spent on rental housing, $102 million on charter schools, $13.3 million for health care facilities, $2.7 million on daycare centers and $2.9 million on small businesses. 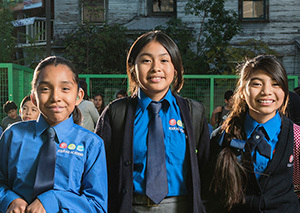 Equitas Academy is one of many charter schools preparing students for future success. 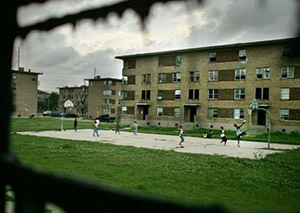 Since 1982, Capital Impact has served often-neglected communities, starting with the cooperative model to foster economic development for low- and moderate-income areas.Our non-profit, mission-driven lending began in 1984 and progressively expanded to support communities nationwide, including establishing offices in Oakland, California and Detroit, Michigan. Capital Impact also grew to support access to quality health care, education, housing, healthy food, dignified aging and cooperative development. Capital Impact works to improve the lives and futures of individuals and communities through four strategic pillars: addressing systematic poverty, building equitable communities, creating healthy communities, and ensuring inclusive growth. Through it’s place-based focus, Capital Impact has played an integral role in revitalization efforts in Detroit. Since its inception, Capital Impact has deployed more than $2.5 billion for community development projects nationwide. In that time, our lending has created more than 36,500 units of affordable housing, helped more than 2 million patients receive quality health care, facilitated access to quality education for 240,000 students in 235 charter schools, financed 86 retailers to provide healthy food for 1 million people, helped 37,000 older adults age with dignity through 191 projects, and supported cooperative services for 870,000 customers. 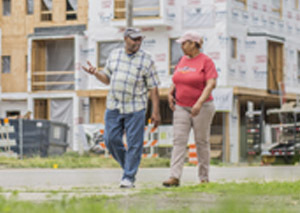 Our place-based strategy has also facilitated the revitalization of Detroit neighborhoods, creating mixed-use spaces and multi-family housing to help the city rebound. 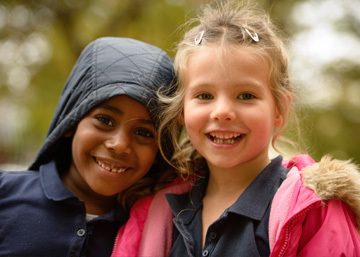 In addition to our lending, we advance programs to create equity and opportunity. 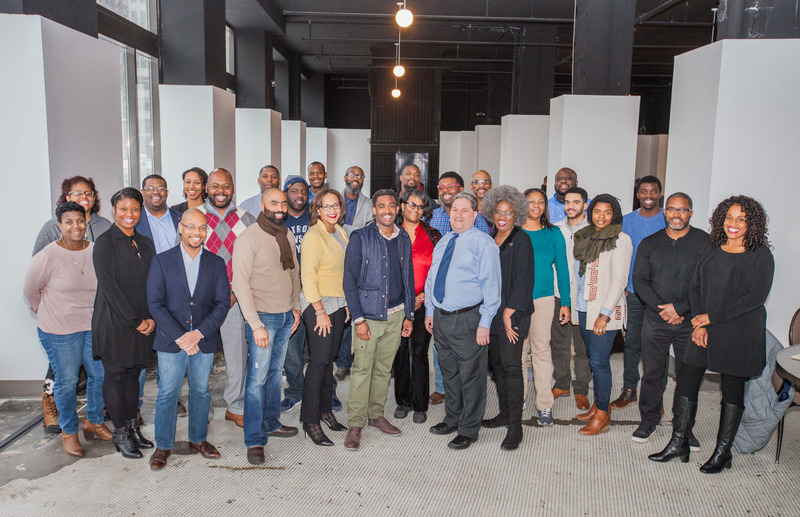 For example, our Equitable Development Initiative provides catalytic capital and training to minority real estate developers in Detroit so that they can participate in the city’s revitalization efforts. 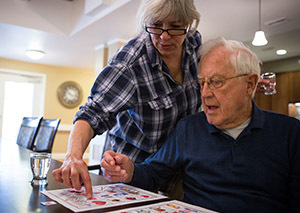 We are also investing nationally in efforts to scale worker-owned, home care cooperatives that are creating quality jobs for women aged 50 and older who care for our loved ones as they age. Capacity building is another service we extend to organizations. A great example is the Answer Key, a step-by-step guide with practical tools designed to help charter school operators successfully navigate the often difficult process of building or expanding charter schools. Like several other CDFIs, Capital Impact also embraced impact investing in 2017 by creating Capital Impact Investment Notes as a means to drive more capital from socially conscious investors – big and small – into the communities that need it most. All that individuals and communities want is the opportunity to succeed. When traditional financial institutions refuse to invest in communities, CDFIs offer a chance of living a dream that so many Americans hold: providing their children with a quality education so that they can achieve greater gains. Receiving quality health care and healthy food access so that they can enjoy many years with family. Having affordable housing to call home. In supporting communities to reach these goals, Capital Impact and other CDFIs help create equitable and inclusive spaces that lead to communities of opportunity for all. About Capital Impact Partners: Through capital and commitment, Capital Impact Partners helps people build communities of opportunity that break barriers to success. We deliver strategic financing, incubate new social programs, and provide capacity-building to help ensure that low-to-moderate-income individuals have access to quality health care and education, healthy foods, affordable housing, and the ability to age with dignity. A nonprofit community development financial institution, Capital Impact Partners has disbursed more than $2 billion to revitalize communities over the past 30 years. Our leadership in delivering financial and social impact has resulted in Capital Impact earning a “AA” rating from S&P Global “AA” and being recognized by Aeris since 2005 for our performance. Headquartered in Arlington, VA, Capital Impact Partners operates nationally, with local offices in Detroit, MI, and Oakland, CA. Learn more at www.capitalimpact.org. As leaders of four of the nation’s largest nonprofit community development financial institutions (CDFIs) with the mission of investing in low-income communities and entrepreneurs, we ask Congress to protect the desperately needed flow of investment capital to America’s struggling cities and towns. In short, we ask Congress to ensure full funding for the U.S. Treasury Department’s Community Development Financial Institutions Fund (CDFI Fund), whose support enables us and more than 1,000 other CDFIs nationwide to provide patient, innovative capital solutions to help small businesses, expand educational opportunities, and build affordable homes. These investments provide a tremendous bang for the taxpayer buck: On average, CDFIs leverage every federal dollar with at least 12 additional dollars from other sources, including banks, foundations, and impact investors. CDFI investments in underserved communities promote economic opportunity and inclusive growth. Last year, $233 million in CDFI Fund appropriations led to more than $2 billion worth of investments and loans across the U.S. Most importantly, this capital has fueled economic growth in thousands of distressed cities and towns, providing economic opportunity for millions of Americans. In 2016 alone, with support from the CDFI Fund, CDFIs nationwide created 36,000 jobs, made 11,000 business loans, and financed 24,000 affordable housing units in urban and rural communities that need it most. Yet, despite a solid track record of success and consistently strong bipartisan congressional support since its founding in 1994, the CDFI Fund is on the chopping block. The Trump administration’s proposed budget for fiscal year 2018 would eviscerate the CDFI Fund’s vital programs, cutting all but $14 million of its current $248 million budget. The House voted to restore some of that funding, and although that’s a good first step, we need more than that. The CDFI Fund must continue to operate at full strength. 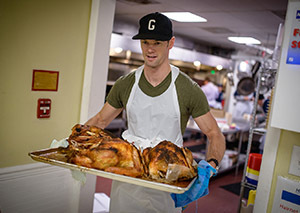 Without the CDFI Fund, small businesses like veteran-owned Honor Capital, which brings affordable grocery stores and jobs to underserved neighborhoods, wouldn’t exist. Honor Capital’s seven grocery stores in Kansas, South Carolina, Virginia, and Oklahoma have all been financed with CDFI loans. In Wichita and Winfield, Kan., for example, Honor Capital opened two stores that have brought fresh, affordable foods to their communities, created jobs, and attracted new businesses. Each Honor Capital grocery store serves thousands of customers every week. As part of Honor Capital’s ambitious plan to increase access to healthy foods and support veteran entrepreneurship nationwide, the company will expand to operating a total of 10 stores by the end of 2017, including new stores in North Carolina and Georgia. This growth is made possible by $9 million in innovative financing provided by a partnership of three CDFIs—IFF, Reinvestment Fund, and Enterprise Community Partners. CDFI financing is essential because many start-up and early-stage businesses like Honor Capital have difficulty accessing credit. 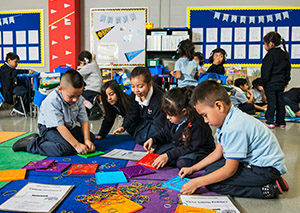 In the District of Columbia’s Congress Heights neighborhood, a $14.4 million capital infusion from two CDFIs, the Low Income Investment Fund (LIIF) and Capital Impact Partners (CIP), enabled the Charter School Incubator Initiative to renovate a building that houses two charter schools. 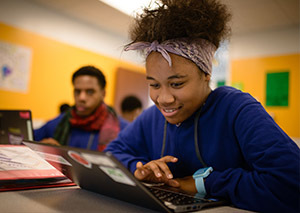 Somerset Prep DC and Community College Preparatory Academy serve students in grades six through 12, as well as adult learners. These two schools expand the opportunities for youth and adults to secure high-quality education in their community. Congress Heights, a predominantly African-American and low-income neighborhood, is undergoing pressure from the rapid public and private-sector development in the District. Like other CDFIs, LIIF and CIP are working to ensure inclusive growth by enabling all residents to participate in the revitalization of their community. The impact of the CDFI Fund’s support goes well beyond dollars and cents. CDFIs help communities realize their visions of prosperity. They work closely with local nonprofits, businesses, and government to ensure that they are addressing community needs and priorities. They seek out opportunities that traditional financial institutions often overlook: in neighborhoods where median incomes and school test scores fall below national averages, and in businesses like grocery stores that have thin profit margins and higher risk. CDFI financing is about helping Americans live better lives—through good jobs; safe and affordable housing; access to fresh, healthy foods; high-quality education from early childhood to college; and excellent health care. America’s cities, towns and rural areas need the CDFI Fund in order to thrive. Congress should ensure that funding for CDFIs is fully restored in the 2018 budget and keep investment capital flowing to vulnerable communities. Nancy O. Andrews is President and CEO of the Low Income Investment Fund, which is dedicated to creating pathways of opportunity for low income people and communities. Ellis Carr is Capital Impact Partners’ President and Chief Executive Officer and has more than 20 years of experience in the financial services and mortgage industries. Donald Hinkle-Brown is President and CEO of Reinvestment Fund, a national CDFI which integrates data, policy and strategic investments to improve the quality of life in low-income neighborhoods. Joe Neri is President & CEO of Chicago-based IFF, the Midwest’s leading non-depository, diversified Community Development Financial Institution, which focuses on strengthening nonprofits and the communities they serve. The idea of “community” often conjures images of a geographic place, a shared space where people congregate. While true, communities can be so much more. Their true potential can manifest itself when they foster connections between individuals who share mutually beneficial ideals. Through championing those shared values, community members can create a future of shared prosperity. This idea of community inspires us here at Capital Impact to look beyond the boundaries of space and place and take action to create ‘communities of opportunity’ built on a foundation of equity and inclusion. In doing so, we can create a network of connections that supports successful outcomes for all. With Capital Impact Investment Notes, you can invest in your values. In an effort to fulfill that vision, we are announcing a new opportunity that allows you to embrace this broader concept of community and support the values that matter to you. Beginning this week, we are offering Capital Impact Investment Notes, the proceeds of which will support investments in underserved communities across the country. I am excited that S&P assigned a long-term issue credit rating of AA to our Notes*, marking the first time an S&P rated Notes offering is being made available by a Community Development Financial Institution on a continuous basis. For as low as $1,000, you – as an individual or institution – will have the ability to invest in our mission-driven efforts to create jobs, support equitable access to critical services, foster good health and drive economic development – things that our country so desperately needs. 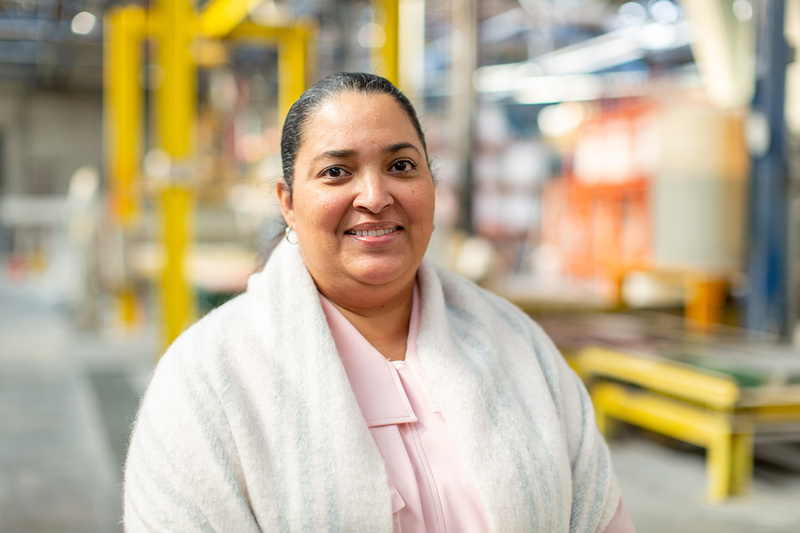 For more than 30 years, Capital Impact has lent to, invested in and developed programs with the residents in underserved communities, communities that traditional lenders are reluctant to support. Central to that effort is our work to partner with and empower communities to identify locally driven solutions that help address their most pressing needs. I encourage you to read our stories of impact and see that work through the eyes of those individuals in communities who are benefiting from this collective social impact effort. 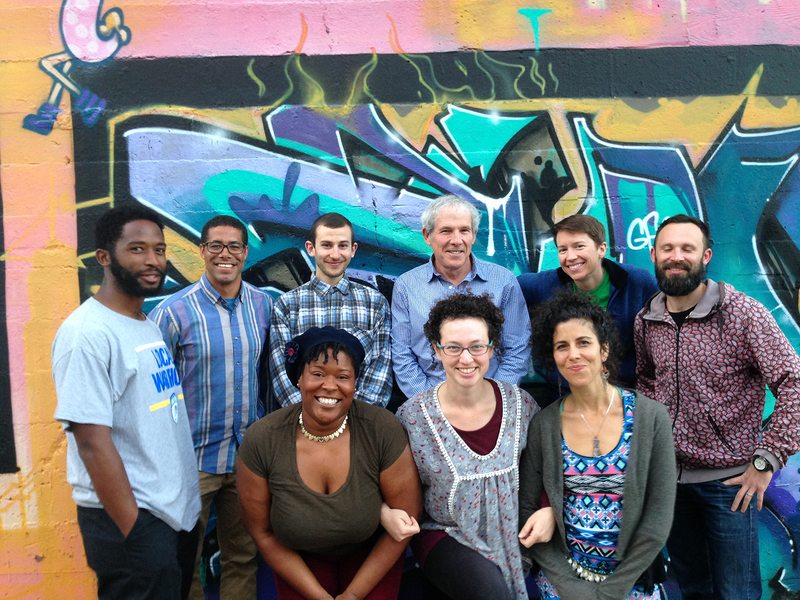 Now you can help us create more stories of positive social change. On our website you will find the current Prospectus and Pricing Supplement and terms and highlights associated with the offering of our Notes. I invite you to discuss these details with your broker. This announcement is an important step in providing another way for you to align your investments with your values and truly make a difference in the lives of others. I hope that you will join us in creating communities of opportunity that break down barriers to success and expand equity for all. This is not an offer to sell or a solicitation of an offer to buy any securities. Such an offer is made only by means of a current Prospectus (including any applicable Pricing Supplement) for each of the respective Notes. Such offers may be directed only to investors in jurisdictions in which the Notes are eligible for sale. Investors in such states should obtain a current Prospectus by visiting https://www.capitalimpact.org/invest/capital-impact-investment-notes. Investors are urged to review the current Prospectus before making any investment decision. No state or federal securities regulators have passed on or endorsed the merits of the offering of notes. Any representation to the contrary is unlawful. The notes will not be insured or guaranteed by the FDIC, SIPC or other governmental agency. As of October 16, 2017, the Notes will be offered for sale in all 50 states and the District of Columbia, excluding the States of Arkansas and Washington and the Commonwealth of Pennsylvania. *S&P Global assigned a long-term issue credit rating of AA to the Notes on September 7, 2017. Please check the current Pricing Supplement at the link above for the S&P credit rating assigned to Notes currently being offered for sale. An S&P credit rating is not a recommendation to buy, sell or hold Notes and may be subject to suspension, reduction or withdrawal at any time by S&P.